Most SEO soft wares build links all the same way, Money Robot is different. The software uses Internet explorer, Firefox or Chrome to simulate real human activity (users action on sites) and it can easily pass any robot detection mechanisms and it uses many Ips to build and post to accounts. T1- embeds on web 2.0s and social shares and likes on FB Twitter, G+. I use custom made diagrams, set up for videos, but also have others. 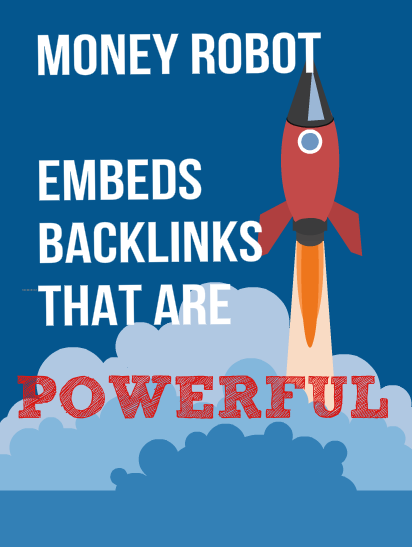 Money Robot Embeds and Backlinks for Youtube Videos seo is ranked 5 out of 5. Based on 29 user reviews.